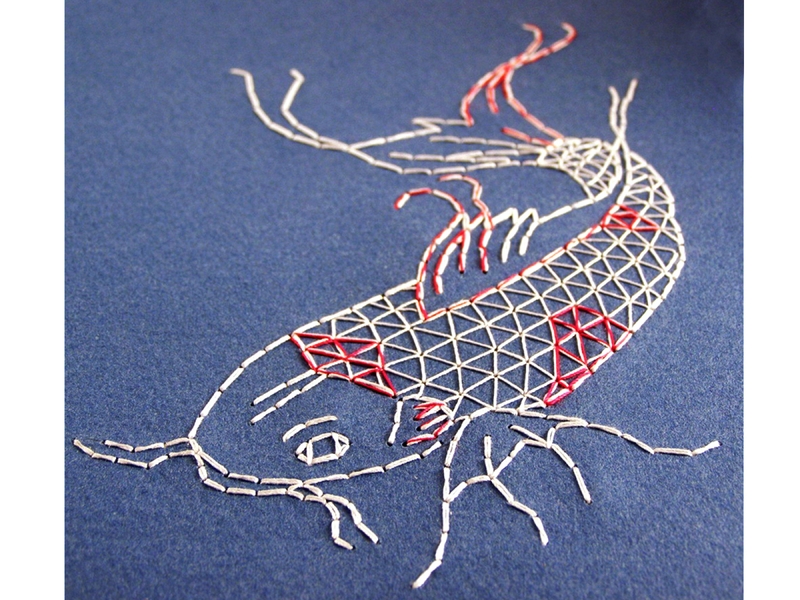 Koi Fish. 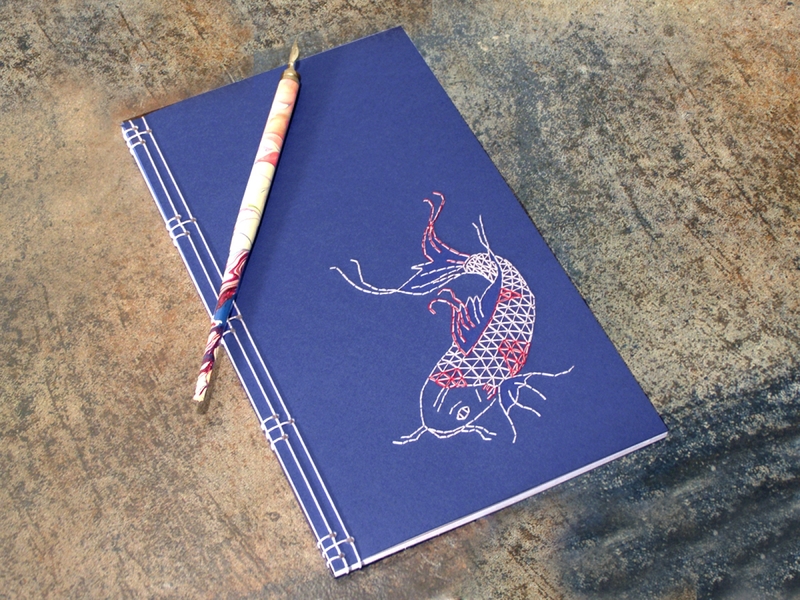 Hand Embroidered Notebook. 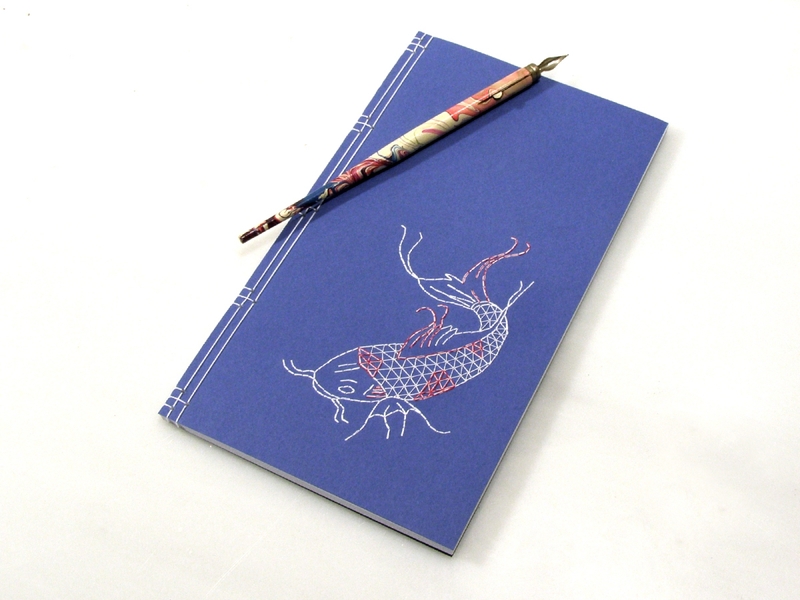 A Japanese-style notebook, in a very elegant size, made by using a traditional stab binding technique. 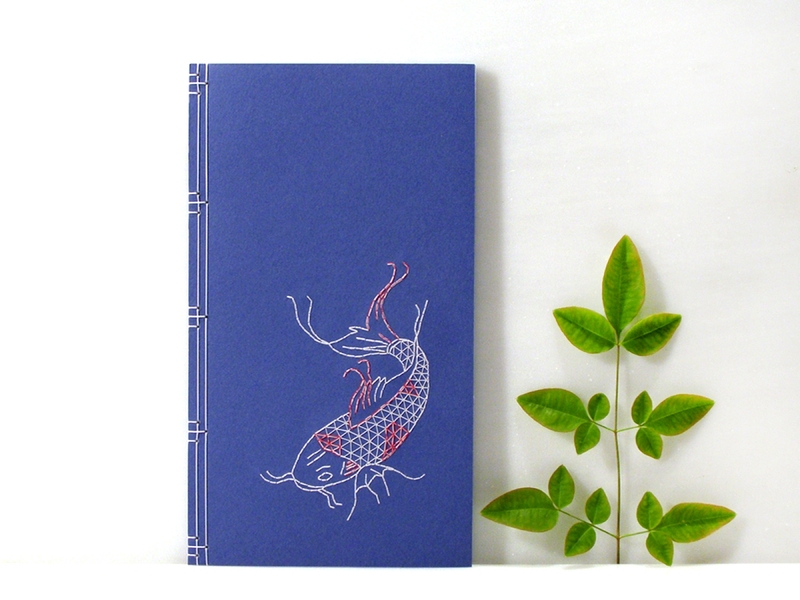 Front cover of a blue card stock, hand embroidered with a beautiful Koi fish design, in white and red cotton threads. 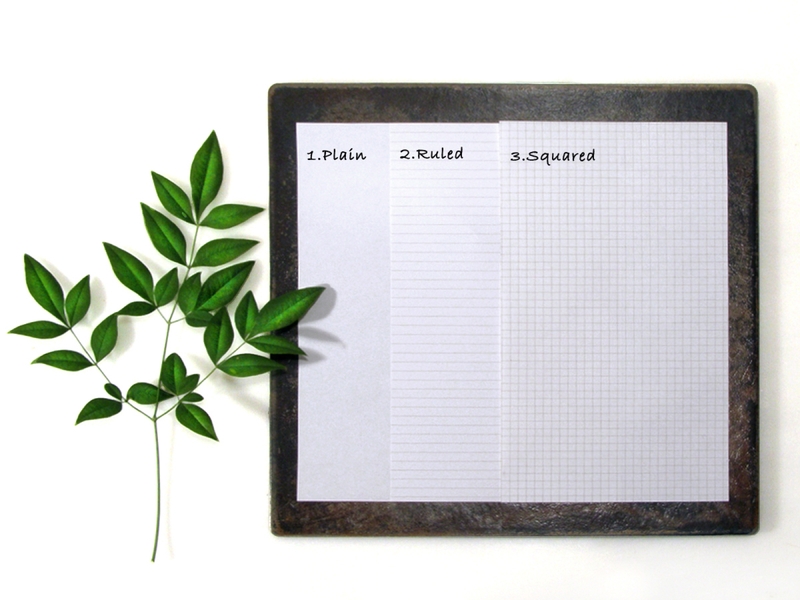 Bound with white jad string. Very nice book, Chara is a kind and interesting person !